Bixel is a creative, educational tool that helps the public learn about synthetic biology, biotechnology and its applications. It was created by Cell-Free Technology, a start-up co-founded by Dyson School of Design Engineering graduate Helene Steiner. 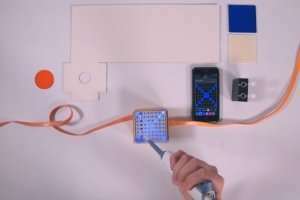 Bixel is a simple self-assembly kit that allows users to build and code their own games powered by DNA. It consists of an 8x8 pixel display, programmed using jellyfish DNA to express Green Fluorescent Protein (GFP) – the material that makes jellyfish glow. The display can be manipulated with a smartphone app to activate the fluorescent colours, create messages and play simple games. 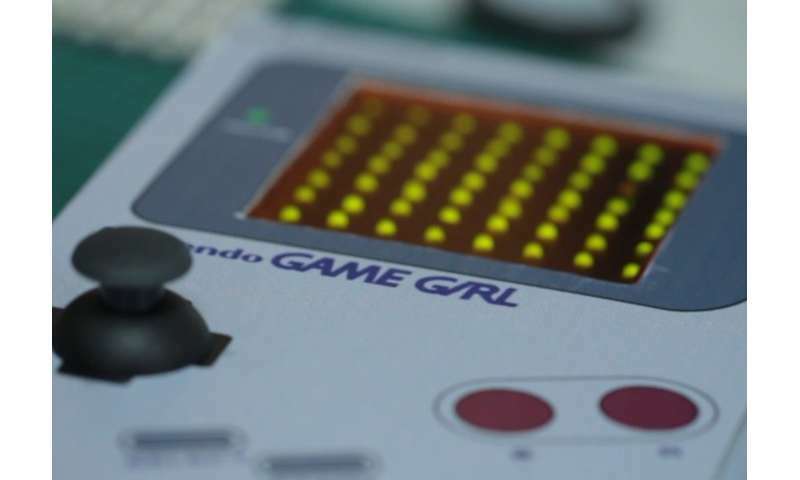 The team behind it say that it is the world's first visual display for interacting with biological circuits. Cell-Free Technology were able to create Bixel after developing an innovative new technique that allows them to break open cells at large scale and extract their inner workings. It is safe, inexpensive, and does not involve the use of genetically modified organisms (GMOs). Helene said: "Playing around with DNA usually involves using GMOs, which are not considered safe to use outside of a lab. We avoid that completely by removing the components that allow the cell to replicate, including the cell wall. What's left is a sort of biochemical soup containing the tiny machinery that is responsible for reading DNA and writing proteins – in this case GFP." Bixel combines coding, design, and biology, and the kit requires no background knowledge to use. Helene explained: "Our mission is to make biotechnology and synthetic biology more accessible to the public. Biotechnology is going to play an increasingly important role in our lives, and it's crucial that the public understand it so that they can contribute meaningfully to debate about how it is used in the future. Interacting with biotechnology in this way is safe, exciting and inspirational and helps start this conversation." Cell-Free Technology have also been piloting Bixels with groups of hackers, designers and people in creative industries across the UK, in the hope of encouraging then to consider and develop new applications for the technology: "We want to see biotechnology integrated seamlessly into product design – from fashion to wearable tech," Helene said.